Congratulations to Professor Daisuke Kihara, Professor Cristina Nita-Rotaru and Professor Sunil Prabhakar. Their new positions will be effective fall 2009. Kihara earned a promotion to the rank of Associate Professor with tenure. He joined computer science and the department of biology in 2003 with his home appointment in biology. He received his PhD and MS in bioinformatics from Kyoto University and his BS in biochemistry from the University of Tokyo. Kihara's research interest is in the area of bioinformatics and computational biology with a special focus on developing computational methods to predict and analyze protein structure/function, pathway structure, and their applications in genome-scale or pathway/network scale. He has worked recently on protein structure prediction, protein global/local shape comparison, development of prediction method of transmembrane proteins, and its application to genome sequences. 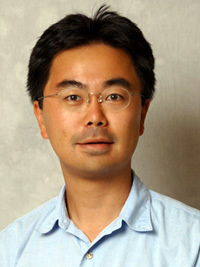 Kihara was awarded a Purdue Seed of Success in 2005, 2006, 2007, and 2008. Nita-Rotaru earned a promotion to the rank of Associate Professor with tenure. She joined the department in 2003. She earned her PhD and an MSE in computer science from the Johns Hopkins University. Nita-Rotaru conducts research within the Dependable and Secure Distributed Systems Laboratory (DS)2 lab. Her research interests are in designing distributed systems and network protocols and applications that are dependable and secure, while maintaining acceptable levels of performance. Currently she is working on designing intrusion-tolerant architectures for distributed services that scale to wide-area networks, investigating survivable routing in wireless ad hoc networks, and providing access control mechanisms for secure group communication. 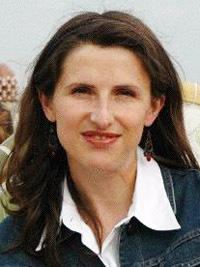 Nita-Rotaru received an NSF Career Award in 2006 and a Purdue Teaching for Tomorrow Award in 2007. She is also a member of the Center for Education and Research in Information Assurance and Security (CERIAS) and is associated with the Center for Wireless Systems and Applications (CWSA). 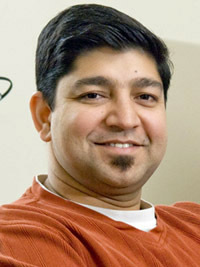 Prabhakar was promoted to a Full Professor of computer science. He joined the department in 1998. He earned his PhD and MS in computer science from the University of California at Santa Barbara, and his BTech in electrical engineering from the Indian Institute of Technology. His research focuses on performance and privacy issues in large-scale, modern database applications such as multimedia, moving-object, and sensor databases. He is currently working on uncertainty management and efficient execution for high-update database applications such as moving object and sensor databases, enhancing privacy and digital rights management for databases, and the development of advanced databases for bioinformatics. Prabhakar earned an NSF Career Award in 2000 and was named a University Faculty Scholar earlier this year. He is also a member of CERIAS. Prior to joining Purdue, Prabhakar held a position with Tata Unisys Ltd. from 1990 to 1994.